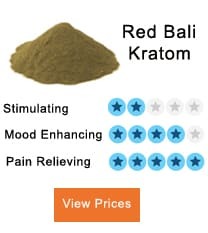 Kratom which is a herbal medicinal drug that has a wide range of uses ranging from pain relieving, fight out depression, anti-anxiety, boost body energy level among other bumper health benefits. Its users only put their interest in the benefit of using the substance forgetting that the product is a source of fat. You need to know much about this oil and its mode of extraction? Here is the deal! 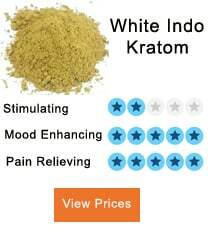 Kratom oil just like any other products from any extract contains some essential elements. Also, the process of extraction that helps to achieve a quality product includes a detailed procedure. The oil contains about 0.5% alkaloids that consists of more than 25 spectrums of alkaloids. The chemistry of the compound that aids in the formation of this oil is complex. In 1907, Hooper tried to extract its molecule thinking that he would culture it producing more oil from it. However, his mission failed terribly. Later in 1965 when R. Rosenstein with his counterparts Zacharias and Jeffery discovered the organization of mitragynine. They reported that the compound is a 9-methoxy corynanthidine make up with a molecular formula of C23H0N204 with a molecular weight of 398.49g/mol. All these molecular compounds are what surrounds the oil content. 1 How is the oil extracted? There are different methods with solvents used to extract essential elements of Kratom. How to get oil depends on the plant content. Not all plants respond to solvent during the whole extraction process. In some, the extraction process begins in water ending up in an alcohol solvent or the vice versa. If you want to prepare essential oil, you thus need to understand the chemical composition of the plant by establishing how the components respond to different solvents. The following is the ideal method of extracting. This method is not only used in the extraction of oil but also for other plants. Though people find this method to be too long with quite complicated, it is the simplest method to use. This method ensures that all the 25 spectrums of essentials in oil formation are extracted to the point. Oil extracted using this method includes 7-9 grams of all product with a chemical like taste that can provoke the sense of numbness on the lips and mouth of the user. The extraction process involves the use of heated water at a temperature of 212 Fahrenheit or 100 degree Celsius. You need to place the plant into a perforated tin. Hang the container inside a bigger vessel containing water. You need to be careful to ensure that the tin does not touch the water in the bigger container. Steam produced during heating penetrates through the perforated hole in the tin contained with Kratom. The penetrating steam guarantees the extraction of essential oil components from the plant. Always remember that the bigger vessel container must have an opening on the lid where the tin with the compound is suspended. The opening must have a copper pipe fixed into it. The pipeline runs through cold water in a basin place somewhere acting as a condenser. The cold water in the condenser transforms the steam in a hydrosol that leaks into a separator. You, therefore, need to fix at the end of the copper pipe a separator for the collection or separation process. Once the hydrosol reaches the separator, water that is condensed steam goes to the bottom while oil is suspended on top. You need to ensure that the separator has a valve you can turn on or off at the bottom. Once the separator is full, you open the valve to let water flow out until the oil level is reached. Once the oil level is reached, you channel into a different collecting container. The process may take time for you to get quantity oil, but also the most efficient once you have finished extracting heat your oil up to evaporate water molecules that might be contained in the extract. Always pack you oil in a black glass jar while avoiding storing them on places with direct sunlight. This helps prevent oil decomposition. Since the oil is a pure alkaloid, the relaxation effect is superb. This effect can last between six to ten hours mostly needed if you have tasks that require maximum concentration. 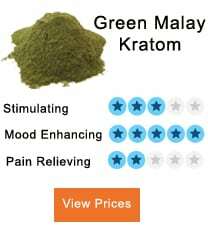 Kratom oil is known to give strong analgesia effect on the user. Since the extract contains a high concentration of compounds the effect are therefore quite strong. The euphoric effect that comes with the oil is quite strong. Surprisingly, this euphoric effect leads to the relaxation state that you cannot fail to experience. Body stimulation is something most people who work in areas with hard work required. Taking the oil, therefore, is the solution to such kind of people. The beneficial effect that comes with this oil is incomparable to the strain of either powder or capsule. The intensity of stimulation is super high that any user cannot fail to look for it. If you suffer from disorders associated with insomnia, then this oil is your option. At high dosage, one feels sedation feeling equipped with dizziness. 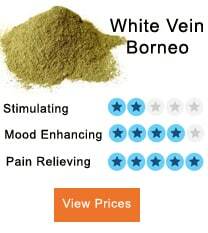 Kratom, therefore, is ideal for people who work long hours but fails to fall asleep more easily. Kratom oil as we have discussed contains pure alkaloids. These compounds are the one responsible for boost energy in the body of use. Therefore, you are looking to boost your body energy say during work or conjugation then taking the oil can help you much. 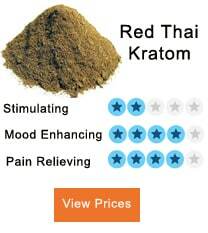 Kratom oil is ideal as an effective pain reliever for anti-anxiety treatment. 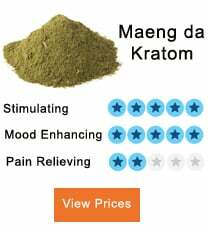 If you want to improve your experience with Kratom, buy the oil or make one of your own especially following the above procedure. Not only me Kratom has actually consumed throughout the world. Such a natural substitute. It has increased my energy and alertness eventually. Thanks, kratom Family.